Use a hairdryer to soften the head plastic so that nothing breaks or splits and it can be pulled out easily! 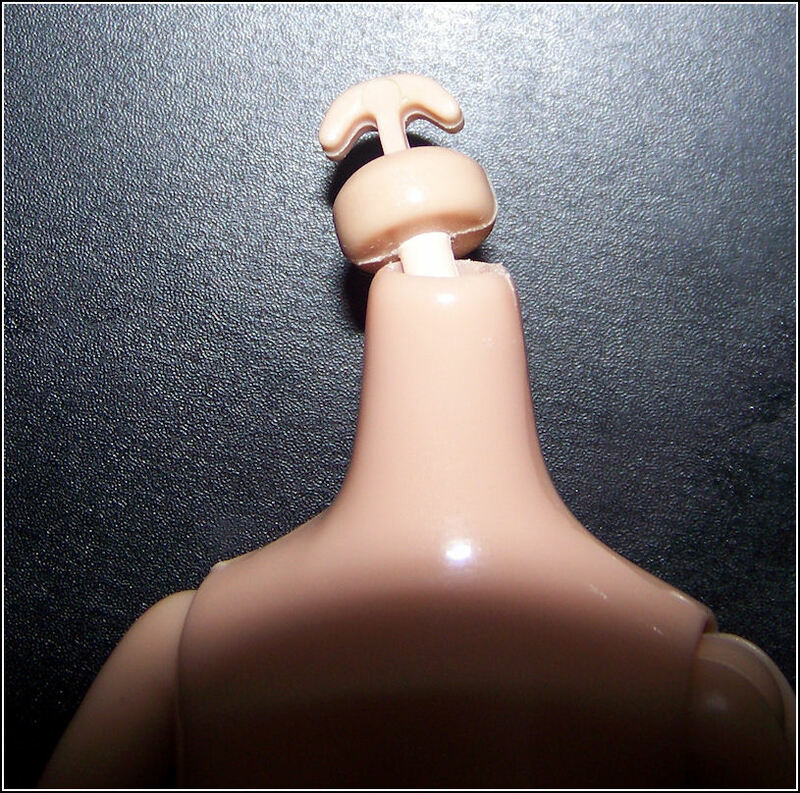 Then slowly pull off the head by pulling on the body, easing the anchor into the chin then out of the head. 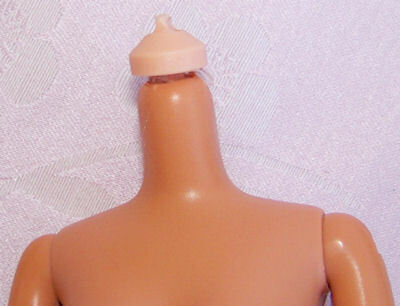 Pull back the skin of Barbie’s neck over the neck peg until the anchor comes out. This entry was posted in Tutorials and tagged barbie, bratz, headswap on January 1, 2011 by saffy.